A TEACHING OF THE JEWISH HOLIDAY TISHA B’AV FROM TWO EVENTS THAT HAPPENED IN JERUSALEM 2,601 YEARS AGO AND 1,945 YEARS AGO ON THE SAME DAY. Shalom. Our teaching this morning will be about the Jewish Holiday Tisha B’Av that came about from two events that happened 2,601 years ago and 1,945 years ago on the same day in Jerusalem. Tonight from sundown to sundown tomorrow is the Jewish Holiday Tisha B’Av. Tisha B’Av in Hebrew means the ninth day of the Hebrew month Av. Tisha B’Av is a day of mourning and fasting in Judaism in remembrance of the destruction of the First and Second Temples. Horrific disasters that took place 656 years apart. And the destruction of both Temples happened on the same day, Tisha B’Av, the ninth day of the Hebrew month Av. The first Temple that was built by Solomon in Jerusalem was burned and destroyed on Tisha B’Av, the ninth day of the Hebrew month Av in 586 B.C.E. (B.C) by the Babylonians under the leadership of King Nebuchadnezzar. Babylon is modern-day Iraq and Syria. One million Jewish people were killed along with the destruction of Solomon’s Temple. The wall of Jerusalem was torn down and the palaces were burned with fire. And the Jewish People were led away by Nebuchadnezzar into exile for seventy years. Daniel, the great Jewish Prophet was among the exiles. But the Temple was rebuilt and restored by the Jewish exiles returning from Babylonian captivity 70 years after its destruction. And the newly rebuilt Temple was restored but with great opposition from the Arabs in neighboring countries and inside Israel. But the Temple was completely restored and dedicated to The LORD in 516 B.C.E, (B.C.). But more trouble came later. The Temple was looted and desecrated by the Syrian Antiochus Epiphames between 169 and 167 B.C.E. (B.C.) for the same reason The LORD caused the Solomon Temple to be destroyed 419 years earlier. Because of Jewish transgression against The LORD their GOD. Because of disobedience to His Torah, The Law Of Moses. But after a great Jewish victory over the Syrians with the mighty help of The LORD GOD Of ISRAEL, the Temple was rededicated to The LORD in 165 B.C.E.(B.C.) by Judah the Macabee. This is the event that brought about the eight day Jewish Holiday Hanukkah. Hanukkah in Hebrew means dedication. Years later, King Herod rebuilt The Second Temple turning it into one of the most beautiful buildings in the Roman empire. Yes, Israel was under Roman rule for a time. Herod began the rebuilding in 19 B.C.E. (B.C.) and the Temple was completely restored in 64 C.E.(A.D). This is the Temple that The Messiah Yeshua walked in and taught the People. But six years after the magnificent Temple was completely restored, following a four year battle, the Roman armies destroyed the Temple in 70 C.E . (AD). The day of the destruction? Tisha B’Av, the ninth day of the Hebrew month Av. 23,000 Jewish warriors fought against the mightiest army in the world, but could not prevail. And the Romans destroyed the Temple. They burned the Sanctuary and pulled down the Temple walls. And the triumphal arch of Titus in Rome reveals carvings that show the Roman soldiers carrying away the furnishings of the Temple. But before they burned and destroyed the Temple, the Roman soldiers brought their idols into the Sanctuary and offered sacrifices to their gods. And they killed every Jew they found. When the flames finally died down, left standing was the retaining wall on the western side of the Temple mount. This is the western wall that still stands in Jerusalem where Jews over the centuries have gathered to pray. The majority of the Jews in Israel were led away captive to the four corners of the earth, not to return until almost 2,000 years later from the Nazi death camps after World War 2. The Romans had changed the name of the Jewish Homeland to Palestine in 135 C.E.(A.D.) The Jewish People correctly renamed their Country Israel when the U.N. declared that Israel was an independent state in 1948. A declared independent state of Israel in 1948 is laughable since Israel has been the Jewish Homeland for more than 3,000 years. The Land given to the Jewish People by The GOD OF CREATION for an everlasting possession. When The Second Temple was destroyed on Tisha B’Av in 70 C.E.(A.D. ), that was the temporary end of the Priesthood, and the temporary end of the sacrifice. Most notably the animal sacrifice for atonement. The Jewish Holiday Tisha B’Av, the ninth day of Av commemorates the destruction of both The First and Second Temples on that date in 586 B.C.E.(B.C.) and 70 C.E. (A.D.). It is thought that the Jewish People were expelled from Spain on Tisha B’Av, the ninth day of the Hebrew month Av in 1492. The site of the Temple mount in Jerusalem has been occupied since 700 C.E.(A.D.) by the Muslim dome of the rock, also called the mosque of Omar. Judaism observes Tisha B’Av by fasting and mourning. The Book of Lamentations is read in the Synagogues on Tisha B’Av. In some Sephardi Congregations, a black curtain is placed over the ark that contains The Torah(s). And in a number of Synagogues, the Congregants sit on the floor, or on low benches and read what is called Qinot, or sad poems by dim candle light as a sign of mourning. It is also customary to visit deceased relatives at the cemetery on Tisha B’Av. And all the places of entertainment in Israel are closed. Also, pilgrimages, or journeys are made to the western wall where the Temple stood. And when the bridegroom stomps on the glass at a Jewish wedding, and everybody yells Mazel Tov, that is in commemoration of the destruction of the two Temples on Tisha B’Av. But what most Jewish People don’t realize is that The First Temple was destroyed because of Jewish disobedience to The LORD their GOD, The Holy One of Israel. Disobedience to His Torah, The Law of Moses. Transgressing after all the abominations of the nations, The LORD GOD said. And most probably The Second Temple was destroyed for the very same reason, Jewish disobedience to Torah. And the looting and desecration of the Temple by Antiochus Epiphames, the Syrian madman was brought about by Jewish disobedience to GOD. Disobedience to GOD. That is to say, disobedience to His Laws that are written in The Law of Moses that are for both the Jewish People and Gentiles brings on troubles even curses. Persistent trespasses against The LORD THEIR GOD caused the LORD to bring Israel’s enemies against them to destroy the most sacred places in Israel, the two Temples, and the Land itself. Troubles and curses for disobeying GOD, His Law of Moses is a promise of GOD. Tisha B’Av is an important lesson that we all should remember when the legion of Bible teachers in the church and in certain Messianic Congregations teach that the death of Christ on the cross eliminated The Law of Moses. Such a tragic lie. Christ, that is The Messiah Yeshua is The Father (John 14.9, Isaiah 9.5 (6.) The Messiah is GOD ALMIGHTY Who gave His Laws to Moses Face to face for Israel and all mankind, never to change or end. GOD chose the Jewish People to be His witnesses to reveal to the Jewish People and all nations what GOD requires of us. To obey every Word and every Law He speaks in The Bible. And to know and believe that there is only One GOD. And Yeshua The Messiah is that One GOD. The Bible from Genesis through Revelation is written by Jewish People that explains all we need to know about GOD. The secret things belong to The LORD our GOD. But those things which are revealed belong to us and to our children forever that we should do all the Words of this Law. Those Words are written in DEUTERONOMY 29.29. (1 CORINTHIANS 15.1) The Gospel is The Word of GOD that contains The Law of Moses in the first five Books of The Bible. And The Word Of GOD speaks of The Gospel, The Good News of Yeshua The Messiah. (1 CORINTHIANS 15.2) “By which you are saved IF you keep in memory that which I preached to you, unless you have believed in vain”. Yes, Paul was a Jewish man. He never converted to Christianity. He lived by the Law Of Moses and he taught and preached The Law of Moses to Jews and Gentiles wherever he went. For example, ACTS 15.35-36 The Word of The LORD that Paul and Barnabas taught and preached included The Law of Moses. ACTS 24.14 The Word believing in the Greek as in Paul believes all things that are written in The Law of Moses and The Prophets is PISTEUO meaning belief and obedience. Obedience to Torah, The Law of Moses. As a point of information, the Greek word for NOT believing by NOT obeying The Law of Moses is APISTEUO. Believing, as in believing and obeying all things that are written in The Law and The Prophets is the Greek word PISTEUO. But Not believing and Not obeying is APISTEUO. The point here is that believing in The Lord must include obedience to Torah, His Law Of Moses. Look up both words in the Strongs Concordance. Numbers 4100 and 569 in the Greek. ROMANS 1.18 Ungodliness and unrighteousness are Biblical words for disobedience to GOD and His Law of Moses. The ungodly and the unrighteous will receive GOD’S wrath, unless they repent. See above. ROMANS 3.31 Paul teaches, Do we then make void The Law through faith? GOD forbid. Yea, we establish The Law. GOD forbid, Paul teaches. Meaning we NEVER void The Law even through faith in Messiah Yeshua. Paul continues, yea, we establish The Law. Yea here means “just the opposite.” We don’t void the Law through faith in Messiah Yeshua. We establish The Law of Moses in our life. ROMANS 6.4-6 Paul teaches that we should walk in newness of life. Our sins of breaking The Law of Moses have been forgiven in Messiah Yeshua. And walking in newness of life is walking in obedience to GOD and His Torah, His Law of Moses. Then we are in the likeness of The Messiah Yeshua. Our old man is crucified. We strive to live our life in obedience to GOD, not breaking His Law Of Moses. Not sinning. Like Messiah Yeshua. And finally, King Solomon wrote The Books of Proverbs and Ecclesiastes. The Greek word for Ecclesiastes means, “The one of the assembly.” And in Ecclesiastes, Solomon reveals his studies of life and our labors during our lifetime. And he concludes that our labors are vanity of vanities. All is vanity, a pursuit of wind. In other words, the King says that just about every work in life is vanity, emptiness, futility, useless. It’s all air and breath. It’s transitory, not permanent, not eternal, and fleeting that fades away and vanishes, without substance. And that the works of life are a vexation of spirit, a pursuit of wind. But Solomon sums up life this way. When all is said and done, Solomon writes, Fear GOD and keep His Commandments. Fear GOD and Obey His Law of Moses. For this is the whole duty of man. Posted on July 26, 2015 August 10, 2015 Categories Shabbat MessageLeave a comment on A TEACHING OF THE JEWISH HOLIDAY TISHA B’AV FROM TWO EVENTS THAT HAPPENED IN JERUSALEM 2,601 YEARS AGO AND 1,945 YEARS AGO ON THE SAME DAY. ADDITIONAL LAWS OF GOD FOR THE PRIESTS. AND THE LORD’S SUPPER. Shalom. Our teaching this morning will come from Torah, The Law of Moses, in Leviticus 22.1-9. And the title of our message is, ADDITIONAL LAWS OF GOD FOR THE PRIESTS. AND THE LORD’S SUPPER. So with that said, let’s read Leviticus 22.1-9. LEVITICUS 22.1-2 The LORD said to Moses, Speak to Aaron and his sons that they separate themselves from The Holy Things. Meaning that they stay away from The Holy Things of The Children Of Israel. And that they do not profane My Holy Name in those things which they Hallow unto Me. I AM THE LORD. The Hebrew word for Hallow, as in, those things which they Hallow unto Me is KAHDAHSH meaning Holy. The Holy Things were made by The Children Of Israel for The LORD for The Tabernacle. And they are Hallow to The LORD. They are Holy to The LORD OUR GOD. The Holy Things that the Children Of Israel made and Hallowed unto The LORD were The Tabernacle and The First And Second Temples, The Sanctuaries and everything within. Such as the Altar, The Holy Of Holies, The Ark Of The Covenant, all the Furnishings of The Tabernacle and Temples. And of course the animals for sacrifice were provided by The Children Of Israel. All were Holy unto The LORD. LEVITICUS 22.3 These are GOD’S instructions to The Priests. Stay away from The Holy Things if you are unclean. Not because your hands are dirty, but because of your disobedience to The LORD, and opposition to His Laws. The LORD said to Moses, Say to The Priests, If a Priest goes to the Holy Things having his uncleanness upon him, that soul shall be cut off from My Presence. I AM The LORD. Being cut off from GOD’S Presence usually means death. Let’s read GOD’S Words in EXODUS 31.14 that must be taken very, very seriously. Uncleanness, as in, If a Priest goes to The Holy Things having his uncleanness upon him, is TOOM’AH meaning, impure, filthiness, unclean, foul, defiled, polluted, and utterly unclean. And The LORD explains in the following verses, that which makes the Priest unclean. LEVITICUS 22.4 A Priest is unclean being a leper, or has a running issue. The LORD says, he shall not eat of The Holy Things. That is to say, he shall not eat of the sacrifices, until he is clean. Physically sound and healed. And The Priest who touches anything made unclean by a dead body, or a man who has a seminal emission, that Priest is unclean. The LORD GOD demands Holiness from His servants. (LEVITICUS 11.20) All fowls that creep going on all four are winged swarming things. GOD says, they are an abomination to you. Also, the priest who has touched any person who can transmit his uncleanness to The Priest is unclean. LEVITICUS 22.6-7 The Priest who has touched any of these shall be unclean until the evening. That is until sundown the same day. And he shall not eat of The Holy Things unless he washes himself with water. And when the sun is down he shall be clean. And afterward, he may eat of The Holy Things because it is his food. Thus saith The LORD. That Commandment must be taken very seriously as well. LEVITICUS 22.9 GOD charges The Priests to keep His Ordinance. That is His Laws and Commandments that are written in The Law of Moses from Genesis through Deuteronomy and throughout The Bible. Lest, as GOD says, they bear sin for it and die therefore if they profane GOD’S Laws. I The LORD DO SANCTIFY YOU, THE LORD GOD SAYS. The Bible says, It is a fearful thing to fall into the Hands of the living GOD, but it is for your good if you obey Him. The following Words of THE LORD are directed to Israel, The Jewish People. And for that, I think of Messiah Yeshua’s Words in John 4.22 in which He said, FOR SALVATION IS OF THE JEWS. Meaning, that all non Jewish Believers in Messiah Yeshua must live by Every Word that GOD spoke to Israel in The Bible. Living by The Law Of Moses that contains Only GOD’S LAWS that are for Israel and for all mankind. For Salvation is of THE JEWS. I remember playing high school football as a kid. The first week of practice, maybe 200 kids came out for the team. But when the season was over, only about 36 of us were on the squad. Not because of injuries but because practice and the games were tough. Commandments in the Greek is Entolay, meaning The Law Of Moses. Paul was a good Jewish man. A good servant of GOD. Because of his deep seated faith in His Jewish Messiah Yeshua, and his intense observance of Torah, The Law of Moses. Paul has a teaching about The LORD’s Supper that Judaism calls The Passover Seder. The LORD’S Supper, as all Christians know, originates from Messiah’s Passover Seder, the evening before His death for our Atonement. And as Christians know is called communion. The Priests, as we know from our studies of Torah, serve The LORD in The Sanctuary and are commanded by The LORD to obey His Laws, Teachings, and Instructions that are written in The Law of Moses. This is critical for the Believer in Messiah to know, understand and believe. Let’s look at Paul’s teachings in 1 CORINTHIANS 11.23-32 that I’m guessing all Christians know. Remember, The New Testament, or The New Covenant for the forgiveness of sins was originally prophesied to the world by the Jewish Prophet Jeremiah some 700 years before Messiah’s first coming in Jeremiah 31.31-34. The New Covenant replaces the animal sacrifice for atonement. Leviticus 17.8-9 And The New Testament, or The New Covenant prophesied by the Jewish Prophet Jeremiah also reads that GOD will put His Law of Moses in our hearts when we receive The New Covenant, Messiah Yeshua. Why? To begin a new life in The LORD GOD MESSIAH YESHUA in obedience to GOD’S Laws as they are written in The Law Of Moses. That is precisely The New Testament or New Covenant that Yeshua spoke of at His Passover Seder. 1 CORINTHIANS 11. 27-29 But Paul is stern in his warnings to those Christians participating in The LORD’S Supper ACCORDING TO TORAH, THE LAW OF MOSES. Keep in mind that The New Testament Scriptures were written some 48 to 96 years AFTER Messiah’s death. And it’s also important to know, even critical to understand that all the teachings of The New Testament Scriptures come from the teachings of The Old Testament Scriptures. From The Law of Moses, and The Prophets, and the Prophesies of Messiah Yeshua’s first and second comings. ISAIAH 53, ZECHARIAH 14. 1 CORINTHIANS 11. 29 Paul has some very serious warnings for those who partake in The LORD’S SUPPER. Paul writes, For he that eats and drinks unworthily, eats and drinks damnation to himself not discerning The LORD’S Body. Like all books of learning, and teaching, and guidance and instruction, The Bible must be studied and examined thoroughly, and compared to Old Testament teachings for Truth. The New Testament is not a new set of rules. The New Testament has GOD’S rules from The Old Testament that never change or end. Featuring The Messiah Yeshua, The New Covenant for our Atonement. So I examined these words of Paul to get a correct understanding of his teaching. The word “unworthily” in the Greek, as in he that eats and drinks “unworthily” is Anaxios. Meaning unfit and irreverent. A person who is unworthy, unfit and irreverent toward The LORD is a person who does not hold The LORD in great esteem. Proving it by disobeying GOD by disobeying His Law of Moses. Thus Paul teaches, that that person who is unworthy, unfit and irreverent to The LORD eats and drinks damnation to himself at The LORD’S Supper. Listen to this. The Greek word for “damnation” is Krima, meaning a crime against The Law, The Law Of Moses. Yes, that person brings damnation upon himself or herself because it is a Crime to disobey GOD’S Law Of Moses. And the result of that crime is damnation. And judgment also comes from the Greek word Krima. The person who defies and rejects GOD’S Law of Moses at The LORD’S Supper, Paul teaches, is judged by GOD. And that judgment results in damnation upon the individual. Those who are judged, Paul continues in verse 29, are not discerning The LORD’S Body. The word discerning comes from the Greek word Diakrino. Diakrino is in fact two Greek words. Dia means because of. And Krino, listen to this, Krino in Greek means Law, and Judge, and Condemned, Damned, and Punished. Why? Because the unworthy, the unfit and irreverent reject GOD’S Law of Moses whether they are at The LORD’S Supper or at a football game. Look it up. They don’t give a hoot about GOD’S Laws because that is how they have been taught. Incorrectly. So listen to this. Paul writes in 1 CORINTHIANS 11.30, “For this cause, many are weak and sickly among you, and many sleep.” Many are dead. Because people don’t obey GOD. They cast off His Law of Moses and say, don’t bother me. Let’s continue with Paul’s teachings about The LORD’S Supper in VERSE 31. For if we judge ourselves, we should not be judged. So yes, I also looked up the words judge and judged in the Greek. And guess what? Judge and judged in Greek also come from the Greek word Diakrino. MEANING, IF WE JUDGE OURSELVES ACCORDING TO TORAH THE LAW OF MOSES, AND START TO LIVE OUR LIVES BY GOD’S LAW OF MOSES, WE WILL NOT BE CONDEMNED. WE WILL BE BLESSED. READ DEUTERONOMY 28. 1 CORINTHIANS 11.32 But when we are judged. Yes, the Greek word for judged is also Diakrino. When we are judged by The Law, and we live by The Law, we are chastened by The LORD, that we should not be condemned with the world. GOD’S chastening is being disciplined, and punished by The LORD so we will do what He says. For GOD has made you Kings and Priests to The LORD IF you listen diligently to The LORD your GOD and do all His Laws, Teachings, and Instructions that are written in The Law of Moses along with your atonement in The Messiah Yeshua. Then you are certainly a King and a Priest to The LORD YOUR GOD. Posted on July 19, 2015 July 22, 2015 Categories Shabbat MessageLeave a comment on ADDITIONAL LAWS OF GOD FOR THE PRIESTS. AND THE LORD’S SUPPER. THE KADDISH SPEAKS OF THE MESSIAH YESHUA AND HIS FUTURE KINGDOM IN ISRAEL. Shalom. Our teaching this morning from Torah, The Law of Moses will come from Leviticus 21.8-24. And the Title of our message is, THE KADDISH SPEAKS OF THE MESSIAH YESHUA AND HIS FUTURE KINGDOM IN ISRAEL. And with that said, let’s read Leviticus 21.8-24. Holiness is key to all who claim Yeshua to be their Messiah. Without Holiness you cannot see the Kingdom Of GOD. LEVITICUS 21.8 The LORD spoke to Moses and said, You shall Sanctify Him, that is, you shall Sanctify The Priest for he offers the bread of your GOD. He shall be Holy to you for I The LORD which Sanctify you am Holy. The word Sanctify in Hebrew as in, “You shall Sanctify The Priest” is KAH’DAHSH meaning To set apart, make Holy, appointed by GOD, and dedicated to GOD. And set apart from sin. Sin, whether sin is written in Tnakh, The Old Testament Scriptures or in The New Testament Scriptures, sin is breaking any Law that is written in Torah, The Law of Moses. Since GOD commanded Moses to Sanctify The Priests Of Israel, The Priests were provided with Holiness or Sanctification from The LORD Their GOD because of their Priestly descent from the Tribe of Levi. In particular because of their male descent from Aaron the High Priest. As an important point of information, when a person, Jewish or non-Jewish receives The Messiah Yeshua, The New Covenant for Atonement, he or she is Also provided with Holiness from The LORD. Why? Because upon receiving The New Covenant that is written in Jeremiah 31.31-34 and in The New Testament in Hebrews 8.8-12 and Hebrews 10.16-17, GOD put His Law of Moses in their inward parts, and wrote it in their heart (to obey His Law. To make them Holy). And GOD is their GOD and they are The People Of GOD. Holiness comes from obeying every one of GOD’S Laws written in The Law of Moses. Therefore the Holiness that GOD provided them has developed wings and flown away to Heaven. They have lost their Holiness because they disobey GOD. They reject His Laws, Teachings, and Instructions that are written in The Law of Moses. Proverbs 14.2 reads, “To do right honors GOD. To sin is to despise Him”. To sin against GOD is to hate Him, The Bible says. That is why Yeshua said often, Go and sin no more. Returning to The Priests Of Israel, The Priests Of Israel are the Messengers Of The LORD Of Hosts because He seeks The Law of Moses from The LORD HIS GOD. The Title of our message is, THE KADDISH SPEAKS OF THE MESSIAH YESHUA AND HIS FUTURE KINGDOM IN ISRAEL. The Kaddish that we recite near the close of our Saturday Shabbat Service that begins with the Hebrew, YEET’G’DAHL V’YEET’KAHDAHSH SH’MAY RAH’BAH, speaks of The Messiah Yeshua and His future Kingdom in Israel. The word Kaddish, meaning Holy and Sanctified, comes from the ancient Aramaic, the language of Syria in the ninth century B.C.E. The Kaddish declares GOD to be the source of all Holiness and Sanctification. And proclaims the establishment of His Kingdom on earth during our life and during the life of the whole House Of Israel, even swiftly and soon, and say Amen. And GOD’S Kingdom on earth will be established in Israel one day in the future in the original borders that GOD gave to the Jewish People from the River of Egypt to the great river, the River Euphrates. And yes, the time is coming when all the nations of the world will gather against Jerusalem to battle. We see the preparation of that deplorable event taking form today. And The LORD OF HOSTS, THE MESSIAH YESHUA will destroy all those armies that will attack Jerusalem. Yes, The LORD OF HOSTS, THE MESSIAH YESHUA will destroy all the Jew haters, and all the enemies of Israel. Their flesh will consume away while they stand on their feet. And their eyes will consume away in their holes. And their tongue will consume away in their mouth. And THE LORD OUR GOD, THE MESSIAH YESHUA will return from Heaven. His Feet shall stand in that day upon the Mount of Olives which is before Jerusalem on the East. And the Mount of Olives will bust open in the midst of it, toward the east, and toward the west. And there will be a very great valley. And half of the mountain will remove toward the north, and half of it toward the south. THE HEBREW FOR, “AND THE LORD MY GOD SHALL COME AND ALL HIS HOLY ONES WITH HIM” IS, OOVAH YEHOVAH ELOHAY KAL K’DOE’SHIM EE’MAKH. Magnified and sanctified be His great Name in the world which He has created according to His will. And The Messiah Yeshua will establish His Kingdom on earth in Israel from the River of Egypt to the River Euphrates that will include all of Israel today, plus all of Lebanon, much of Iraq and Syria to the Euphrates River, half of Jordan, and a portion of Egypt to an unknown river in Egypt. GENESIS 15.18-21. And there will be no more curse in Messiah’s Kingdom. And Jerusalem will be safely inhabited for GOD’S special family of Jewish People, and of All Peoples, Nations and Languages who serve Him. His dominion is an everlasting dominion which shall not pass away. And His Kingdom that which shall not be destroyed. For The LORD shall comfort Zion. He will comfort all her waste places. And He will make her wilderness like Eden, and her desert like the Garden Of The LORD. Joy and gladness will be found in her. Thanksgiving and the voice of melody. Comfort ye, comfort ye, My people saith your GOD. Speak comfortably to Jerusalem and say unto her that her warfare is accomplished. That her iniquity is pardoned. For she has received of The LORD’S Hand double for all her sins. Blessed, praised and glorified, exalted, extolled and honored, magnified and lauded be The Name Of The Holy One, blessed is He. Though He be high above all the blessings and songs, praises and consolations which are uttered in the world, and say Amen. YES, THE KADDISH SPEAKS OF THE MESSIAH YESHUA, THE LORD OF HOSTS, AND HIS FUTURE KINGDOM IN ISRAEL. AND SAY AMEN. LEVITICUS 21.9 And the daughter of The Priest, if she profane herself by playing the whore, she profanes her father. She shall be burned with fire. LEVITICUS 21.10 The High Priest is subject to even higher standards of Holiness. (Psalm 119.96) The Law of Moses is exceeding broad. It is forever, extending everywhere. The Law Of Moses is Pure, Perfect, Holy, Righteous and Truthful. The Law Of Moses is from the LORD YOUR GOD. And obeying it always is the meaning of loving the LORD YOUR GOD with all your heart, and with all your soul, and with all your might. And it will go well for you and your family. LEVITICUS 21.11 Neither shall the High Priest come near to any dead body. Not even to mourn for his close relative to defile himself. Not even for his mother or father by coming near to their dead body. LEVITICUS 21.12 The High Priest shall not leave the Sanctuary, nor profane the Sanctuary. Profaning the Sanctuary would be doing anything in opposition to any of GOD’S Laws, Teachings or Instructions. For the crown of the anointing oil of His GOD is upon Him. I AM The LORD, GOD says. As the High Priest has been ordained by The LORD, and set apart for The LORD, so are we who believe in The Messiah Yeshua, The LORD of Hosts. Ordained and set apart to love The LORD with all our heart. To obey Him, and know and believe there is only ONE GOD. And Yeshua The Messiah is that ONE GOD. LEVITICUS 21.13-14 The Priest shall take a wife in her virginity. But a widow or a divorced woman, or profane, or harlot, these shall he not take. But he shall take a virgin of his own people to be his wife. A woman who is profane is a prostitute, or one who does not obey GOD. LEVITICUS 21.15 The Children Of The Priests must be taught The Word of GOD to do it, and obey it. The Children Of The Priests must be taught Torah, The Law of Moses, to learn it, and live by it. For GOD’S Laws are holiness and must be taught. Holiness is necessary to see The Kingdom of GOD. LEVITICUS 21.16-24 No Priest having a blemish, a physical defect, the absence of, or a permanent disfigurement of the external parts of his body shall approach to offer the bread of his GOD, The LORD commands. Though he may not officiate in the Sanctuary, the physically deformed Priest remains a Priest by his inheritance, his birthright being a Levite, a male descendant of Aaron. He is a Priest and he is entitled to eat the Priestly portions of the sacrificed animals and grain offerings. The LORD said to Moses, whatsoever Priest has a blemish, he cannot approach to offer the bread of his GOD. A blind man, or a lame man, or he that has a flat nose, or anything deformed. Or a man that is broken footed, or a hunchback, or is a dwarf, or has a growth in his eye, or has scurvy, a malignant type of scab, or any itching scab, or has crushed testes. No man that has a blemish of the seed of Aaron The High Priest shall come near to offer the offerings of The LORD made by fire. And Moses told all these Laws to Aaron and his Sons, and to all the Children Of Israel. So in conclusion, GOD’S Word is settled in Heaven. His Word continues this day according to His ordinances. For GOD’S Law must be our delight. It is forever, extending everywhere. And yes, The Kaddish speaks of The Messiah Yeshua and His future Kingdom in Israel. Let His Great Name be blessed forever and to all eternity. Righteousness, everywhere spoken in The Bible, means obedience to Torah, The Law of Moses, and Atonement in Messiah Yeshua. 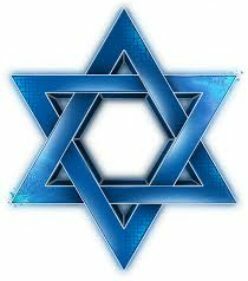 Posted on July 12, 2015 Categories Shabbat MessageLeave a comment on THE KADDISH SPEAKS OF THE MESSIAH YESHUA AND HIS FUTURE KINGDOM IN ISRAEL. THE HOLINESS OF THE PRIESTS OF ISRAEL. Shalom. Our teaching this morning from Torah, The Law of Moses, will come from Leviticus 21.1-7. And the title of our message is, THE HOLINESS OF THE PRIESTS OF ISRAEL. And with that said, let’s read Leviticus 21.1-7. LEVITICUS 21.1-3 This Chapter focuses on GOD’S requirements of Pure Holiness for The Priests Of Israel. The key responsibility of The Priests Of Israel was to serve The LORD by performing all the duties in the Tabernacle and the First and Second Temples. The Messiah Yeshua walked the Land Of Israel during Second Temple Times. The LORD GOD had said earlier to His People, You shall be Holy for I The LORD Your GOD Am Holy. Leviticus 19.2. However, The Kohanim, The Priests Of Israel had a particular responsibility to maintain higher standards of Holiness and Purity than those Jewish People who were not Priests. With that said, these Commandments of The LORD that are exclusively for The Priests portray the Pure Holiness Of The LORD GOD Himself. Just as all GOD’S Laws, Commandments, and Instruction reveal GOD’S Pure Holiness. The LORD said to Moses, Speak to The Priests, the sons of Aaron and say to them, there shall none be defiled for the dead among His people. GOD commanded The Priests not to defile themselves for any dead person. Meaning they must stay clear of the dead and avoid any contact with a dead corpse unless the dead was a close relative. His mother or his father, his son, daughter or brother. And Judaism interprets Verse 2 to include The Priest’s Wife. And along with The Priest’s close relatives is his sister as long as she was unmarried and was a virgin. For her, The LORD said, The Priests may be defiled. The Priests Of Israel, or in Hebrew, The Kohanim were male descendants from the tribe of Levi, especially male descendants of Aaron. Making The Priesthood an inheritance from The LORD GOD for the Tribe Of Levi to whom Moses himself belonged. Celibacy, as a point of information, a religious vow not to marry, was never a requirement in The Jewish Priesthood. It was the exclusive duty of The Priests to perform the animal sacrifice for the atonement of sins for the Jewish People and the strangers that lived among them. And it was The High Priest Caiaphas, a Levite, a descendant of Aaron, who unknowingly was appointed by The LORD to carry out GOD’S decree for a New Covenant. A Covenant that would replace the animal sacrifice that would make Atonement for the Jewish People and People of all Nations. It was Caiaphas The High Priest, and The Scribes and Elders of Israel who sentenced Messiah Yeshua to death TO BE OUR OFFERING FOR SIN AS GOD PROPHESIED IN ISAIAH 53.10 AND JEREMIAH 31.31-34. Here’s how Messiah Yeshua’s Atoning death was carried out as the whole world knows. Messiah was arrested during the evening of the first day of Passover by a great multitude with swords and clubs from The Chief Priests and Elders of The Jewish People. As a point of importance, The New Covenant replaces the animal sacrifice for atonement PERIOD. THE NEW COVENANT, OR THE NEW TESTAMENT DOES NOT REPLACE THE TNAKH, THE OLD TESTAMENT SCRIPTURES, OR THE TORAH, GOD’S LAWS THAT ARE WRITTEN IN THE LAW OF MOSES AS THE CHURCH TEACHES. Messiah Yeshua answered The High Priest by confirming that He Is Indeed The Promised Messiah As Prophesied In The Scriptures. And in the morning, The Messiah Yeshua, Ha Shem, The GOD Of All Creation, there in the flesh, was led away to Pontius Pilate, the Roman Governor, to be killed. The GOD Of Heaven gave His life as a human being to be our Atonement…..
As The Prophet Isaiah prophesied, “For He was cut off out of the land of the living for the transgression of My People was He stricken.” ISAIAH 53.8. It is obvious that Caiaphas The High Priest will see The Messiah Yeshua coming with the clouds, for Messiah said to Caiaphas, “One day you shall see The Son Of Man sitting on the right hand of Power, and coming in the clouds of Heaven. The LORD GOD, Messiah Yeshua has granted Caiphas The High Priest eternal life in Heaven. MATTHEW 26.57-68. As we all know, and I believe the entire Jewish world knows that there can be no sacrifices of any kind, especially the sacrifice for atonement, without a Temple in Jerusalem. Leviticus 17.8-9. But one day in the future, Israel will build the third Temple and the Priests will once again carry out the animal sacrifices. But be certain that the end will be close at hand, and The LORD’S return fast approaching. VERSE 24 70 weeks of years are 490 years that are determined or decreed by GOD upon His Jewish People and The Jewish Holy City Of Jerusalem. Meaning, at the end of a 490 year period, transgression will be finished, sins will end, reconciliation, that is atonement for iniquity will be made in Israel for the Jewish People, and everlasting righteousness will be brought to Israel by by The LORD THEIR GOD. And The Most Holy, The Third Temple will be anointed. VERSE 25 A command will be given to restore and build Jerusalem. And 69 weeks, or 483 years from the time of that command, The Messiah The Prince will come to Israel. And Israel will have troublous times with their enemies, the Arabs, even the Romans. NEHIMIAH 2.1-8, focusing on verse 8 is The commandment. Artaxerxes, the Persian King, gave Nehemiah permission to rebuild Jerusalem and The Temple. 483 years from that commandment, the prophesy says that The Promised Jewish Messiah will come to Israel. The Book of Nehemiah was written between 458-450 B.C.E. (BC). 483 years from the moment Nehemiah received the commandment to rebuild Jerusalem, The Prophesy says The Messiah The Prince will come to Israel. And Messiah The Prince did come to Israel exactly and according to the time predicted. His Name And Title are Yeshua Ha Mashiakh, Yeshua the Messiah. VERSE 26 The prophesy continues. After the 62 weeks or 434 years, plus the 49 years to rebuild Jerusalem, Messiah will be cut off. He will be killed. But not for Himself. Meaning, Messiah was killed for the transgression of His Jewish People and all GOD’S Chosen. And the people of the prince that shall come shall destroy The City and The Sanctuary. This prophesy was fulfilled when the Roman armies destroyed Jerusalem and the Temple in 70 C.E. (A.D.) some 37 years after Messiah’s death. Just as Daniel’s prophesy predicted. And wars in Israel continue. There is a huge space of years from the 69th week to the 70th week, even till today, or from the time that the 483 years were completed to the final seven years, the 70th week in the future. VERSE 27 The 70th week of this prophesy consists of a future peace treaty that will be made between Israel and the Palestinian Arabs for one week, or seven years. Many will approve of this peace treaty. And many won’t. As part of the peace treaty, the third Temple will be built. But after 3 1/2 years of peace, one called the anti-Christ, or the anti-GOD will cause the sacrifice to cease. And the anti-Christ will set up his idols in the Temple, and because of his abominations, GOD will destroy the Temple and bring on 3 1/2 years of great tribulation throughout the world and in Israel. And Messiah will return from Heaven to Jerusalem To Finish Transgression In Israel in The Kingdom of GOD on earth. He Will Make An End Of Sins For His Jewish People And His Chosen Ones. And He Will Make Reconciliation, That Is Atonement. And Bring In Everlasting Righteousness. Messiah will build The New Temple in The Kingdom. And it will be anointed. LEVITICUS 21.4 GOD calls the Priests Of Israel Chief Men among His People because they served The LORD continually. And The LORD Commanded The Priests not to defile themselves, to profane themselves by coming into contact with dead bodies other than their close relatives. LEVITICUS 21.5 The Priests are commanded by GOD not to make themselves bald, or shave off the corners of their beard, nor make any cuttings in their flesh. LEVITICUS 21.6 Being Holy To The LORD Our GOD is taught by Messiah Yeshua. He Taught that man does not live by bread alone but by every Word that proceeds out of The Mouth of GOD. LEVITICUS 21.7 The Priest is commanded by GOD not to take a wife that is a whore, or profane. That is one who is a prostitute. Neither shall The Priest take a woman who was put away from her husband. For The Priest Is Holy To GOD. Messiah Yeshua’s sole mission 2,000 years ago was to give His Life willingly for our Atonement. To forgive us all our sins of breaking any of His Laws that are written in The Law of Moses. Even those Laws mentioned in this Verse. If one of us has taken a woman who was put away from her husband, and we believe in Messiah Yeshua, we have Atonement for our sins. And IF we have Repented, and have Turned to The LORD GOD, and we live by all GOD’S Laws that are written in The Law of Moses, Or we are striving to learn them all, an do them, GOD has forgiven ALL your sins that you have committed. And The LORD will not remember your sins anymore, nor will He mention them to you in your righteousness. JEREMIAH 31.31-34, EZEKIEL 18.21-24. Meaning, having faith in The Jewish Messiah Yeshua for Atonement, And being obedient to Torah, GOD’S Law of Moses is a lifelong walk with The LORD Your GOD. It never ends. You might fall from time to time, but you can confess your sins to The LORD, and He is faithful and just to forgive you your sins, and cleanse you from all unrighteousness. 1 JOHN 1.9. And seeing that all these things will happen, you should be Holy and GODLY in all that you do since you will be living in The Kingdom Of GOD with Messiah where righteousness and joy will reign forever. Posted on July 6, 2015 Categories Shabbat MessageLeave a comment on THE HOLINESS OF THE PRIESTS OF ISRAEL.